The NBA and Kia Motors America have extended Kia's sponsorship deal as official automotive partner of the NBA. Under terms of the deal, Kia will also become official luxury vehicle of the league and official automotive partner of both the WNBA and NBA D-League. The extension is for several years, though the NBA did not specify how many. Kia has been the NBA's automotive sponsor since 2009, when the brand succeeded Toyota in that role. Toyota had held the sponsorship since 2005. 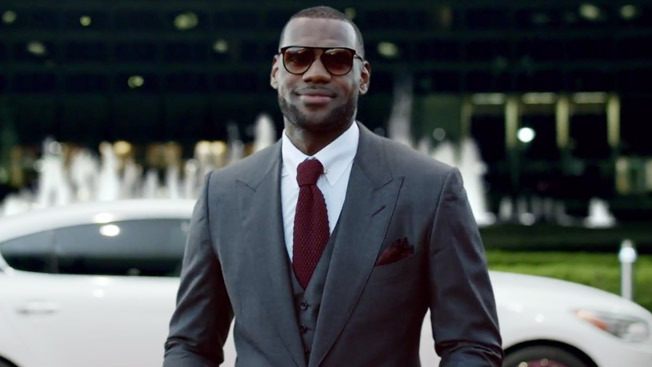 NBA superstar LeBron James will pitch Kia's new K900 flagship luxury sedan in an ad called "Valet," which breaks today—opening day of the 2014-2015 season. The spot shows King James pulling up to a red carpet event in Kia's first rear-drive luxury sedan, then tossing the keys to an awestruck parking attendant. "Keep it close," says James as he strolls into the event. The tagline: "Fit for a King." The NBA confirmed the Kia extension Monday night. Emilio Collins, the NBA's executive vice president of global marketing partnerships, said the automaker will continue as the official automotive partner of the NBA All-Star game and title sponsor of the Kia NBA Tip-Off, the Kia NBA All-Star MVP award and the Kia NBA Performance Awards. "Kia is deeply integrated into the NBA experience year round," Collins said in a statement.